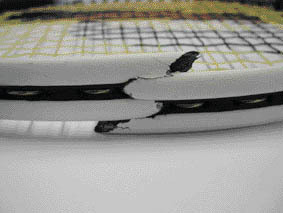 Looking a racket restrung, new grip applied or even a nasty crack repaired, look no further ! We offer a top class, fast and professional racket stringing service​ from our shop at David Lloyd Belfast. 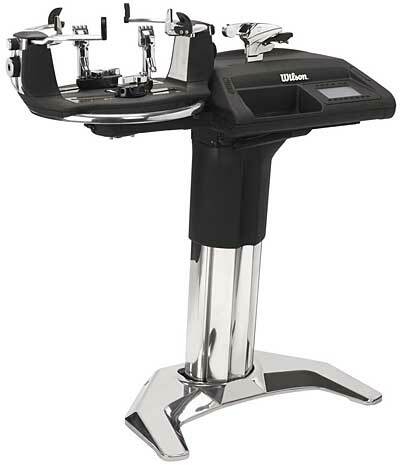 All racket frames are strung on our state of the art Wilson Baiardo stringing machine (see pic). We've strung literally thousands of rackets across tennis, squash and badminton over the last 10 years, so you know your prized racket is in safe hands with us. Not sure what string or tension - don't worry, we can help advise on string choice and tension. Select from a comprehensive range of strings, grips and accessories in store. Broken racket frames don't necessarily have to end up in the bin. Some we can fix, some we can't. 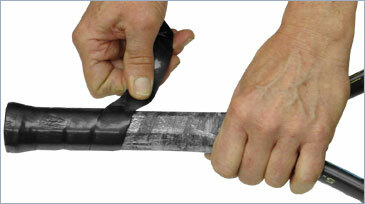 Purchase a grip from us in store and we will install the new grip on your racket at no additional cost. * ​Prices subject to change.